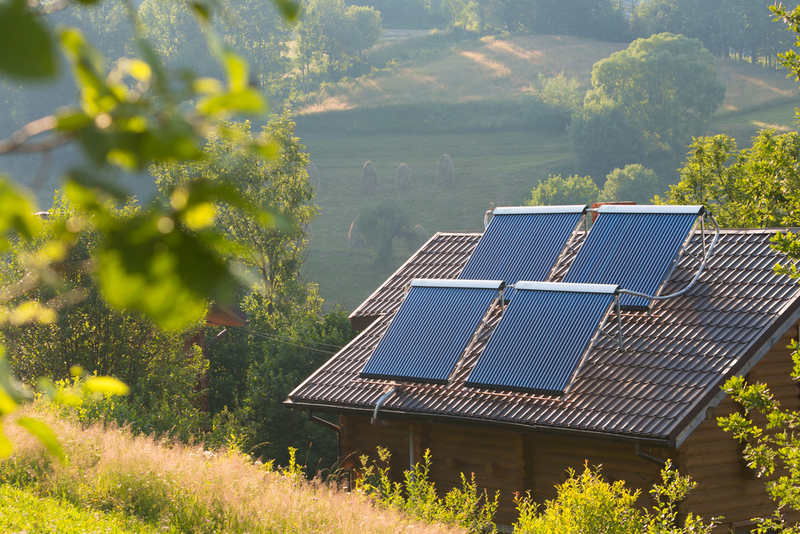 Just like a fingerprint, each home’s solar production is unique. The amount of energy you’ll generate when you install a solar energy system represents a complicated formula that involves your home’s latitude and the climate around you, as well as the orientation and design of your roof. The angle of your roof’s tilt angle, in particular, plays a pretty big role in determining those final generation numbers. That’s because the sun isn’t always shining directly overhead. Sometimes it hits the Earth at an angle. Furthermore, the closer your location sits to the equator, the more directly the sun strikes your roof. Then, there’s the seasonal variation. The Earth orbits around the sun on an ellipsis, not a perfect circle. So the angle of the sunlight in relation to the Earth changes throughout the year. The best tilt or roof pitch for solar optimizes angles to make sure you get the most sunlight possible for your area and roof orientation. Let’s take a look at what you need to know about tilt angle. Unless you have a flat roof, the top of your house probably already has its own tilt, or slope. However, that doesn’t mean you’re stuck at whatever angle your roof came with. Installers can mount panels so that they achieve different angles and tilts. In fact, you could even opt for an adjustable mounting system that can be repositioned seasonally to account for the movement of the Earth around the sun, meaning you have more options than ever. Solar panel sizes come in a variety of dimensions. One of the ways different models differ is in their positioning on your roof—in other words, are they fixed or are they adjustable? As you might guess from their name, fixed panels stay stationary at all times. That makes finding their optimal tilt angle absolutely vital to their overall productivity. Your solar installer should be able to help you with this, but you can also do some preliminary calculations yourself (more on that later). Fixed panels are overwhelmingly the most popular choice among homeowners. Then again, if you’re serious about solar and want to maximize your solar production, an adjustable mounting system may be a better choice for your home. These mounts allow you to shift the angle of the panel as often as you want, although most homeowners choose to do it seasonally, two to four times a year. When this adjustment is made correctly, adjustable panels can capture over 75 percent of the available solar radiation, assuming tree shading and other obstructions are not an issue (by comparison, fixed panels only get around 71 percent). That may sound like a small boost, but it adds up. If you’re willing to undertake the task of adjusting panels semiannually, you’ll also be able to better protect your panels from drops in production due to snow coverage. You can just set your panels at a sharper angle to clear them of snow faster. As you just read, tilt angle matters a lot when it comes to a fixed solar system, because once the panels go up, they will stay there unless you have an installer come out and readjust the mount. An energy professional, who can weigh your home’s individual circumstances, can help you determine the very best angle for your home, but there are also some guidelines you can use to help you figure it out ahead of time. In the Northern hemisphere, face panels toward true-South. In the US, panels do best when they’re oriented towards true-South. It gets into a lot of complicated science, but basically the directions on a compass are dictated by the direction of the Earth’s magnetic field lines, rather than geographic latitude. So facing true-South gets you a more precise estimate of your potential. Your home’s latitude plays a big part. There’s a formula you can use to get a general sense of the right angle for your panels. If your home’s latitude falls between 25 degrees and 50 degrees (all homes in the continental US do), multiply that number by 0.76 and then add 3.1 degrees. If you can’t orient your panels facing true-South, you’ll have to adjust the formula. These numbers only work for panels if they’re truly facing south. Of course, due to the location of your home or the design of your roof, that may not always be possible. In this case, you’ll need to rely on an analysis from a solar professional. 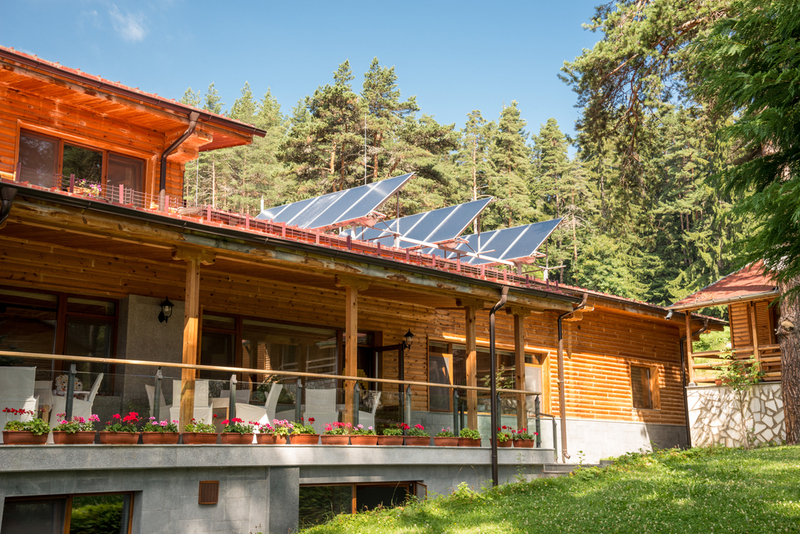 On the other hand, if you choose to install an adjustable solar energy system, you’ll need to raise and lower the angle of the panels to account for the shift in seasonal light. For most people, this means rotating them biannually: once at the end of March, and again in mid-September. Use a different formula for summer than you do in the winter. Your panels will need to be adjusted differently in the summer than in the wintertime. The ideal tilt for solar productivity is zero degrees—in other words, angled directly toward the sun. Here, again, you need to use your home’s latitude to find the best angle. For summer, take the latitude, multiply by 0.93, and subtract 21 degrees. Winter? Latitude, times 0.875, plus 19.2 degrees. Here again, the formula works best if your panels are oriented toward true South. Still feeling confused about your future panels’ solar energy potential? Visitour solar cost calculator to get a personalized estimate, or speak directly with a representative to get your questions answered fast.